A report by the O2 Initiative, which raises awareness about the air pollution crisis in Macedonia, finds that the problem has gone much worse than only 8 or 9 nine years ago. The report compares publicly available data on air pollution and concentration of PM10 particles in the air and finds that pollution has gone between 20 to 80 percent worse compared to before. 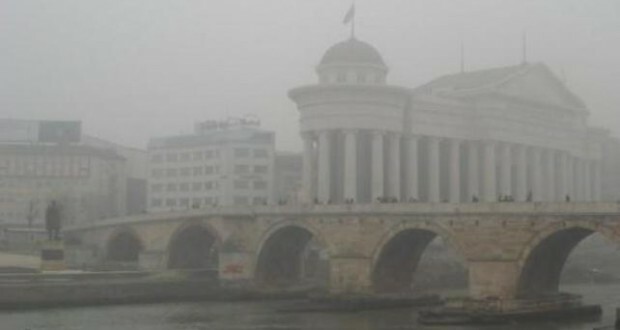 Only the downtown Centar area, which has consistently high levels of PM10 particles, saw a small 6 percent decrease in 2019 compared to previous years. We can conclude that we are far worse polluted than in 2010, 2012 or 2013. Despite all the filtration systems on the industrial facilities, the introduction of A and B environmental licenses, gas heating and enhanced inspections, the O2 Initiative says in its report. 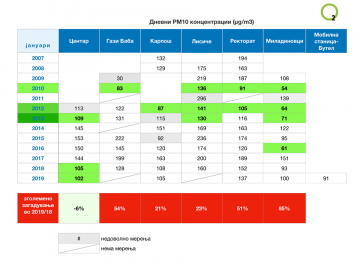 During the winter months, Skopje consistently ranks among the worst polluted large cities in the world, with smaller Macedonian cities faring not far behind in PM10 particles concentrations.